This week saw the launch of IgniteNI’S second Propel pre-accelerator programme, with two eager early-stage companies pushing themselves into the Northern Irish startup scene. The programme will select 20 teams to take part and each will come from a variety of sectors, including beauty, energy, fintech, healthcare, and fashion, to name but a few. The programme lasts for six months, supported by Invest NI, helping companies to rapidly transform plans into action. The programme targets innovative new technology businesses that have scaling potential and support them to experience growth and further their potential to attract external investment. 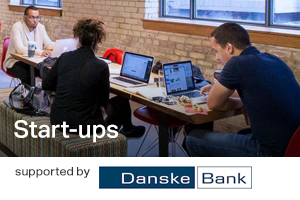 Each company on the programme will receive £15,000, 12 months free co-working space at the Ormeau Baths, and some of the best mentoring and advice from experienced entrepreneurs. Availing of support from individuals who have experienced the upturns and downturns of being an entrepreneur will provide great comfort to the entrepreneurs that are taking this big step. “We’re excited to start the pre-accelerator programme following a thrilling first year…was great to see such a high calibre of applications and it wasn’t easy narrowing the pool to 20 companies”, commented Chris McClelland, Managing Director of IgniteNI. “It’s a privilege to work with these teams and we look forward to making a positive impact. We’re also impressed with the progression of last year’s Propel teams who have validated their ideas and are now looking to grow internationally, and keen to progress to the Ignite Accelerator Programme which begins in March”, continued Chris McClelland. The programme is put in place to primarily help companies that are keen to take their business to the next level, such as raising £500,000 and seeking international expansion. The programme will allow five companies to spend three months in San Francisco building their startup after the intensive 12-week programme in Belfast.